I’ve been doing some research online about the best weapon / blaster to use in Star Wars Battlefront and the problem with most articles you come by is that they’re from the beta stages of the game. However, since the game’s full release, a lot has changed when it comes to weapon stats and how good they are and I personally believe that all those articles are outdated. Plus, after several days of in-game time, I think I’ve made up my mind regarding the best weapon in Star Wars Battlefront and I am here to share that with you. For a long time, I was silly enough to consider that a high damage weapon is everything I need – but high damage weapons are slow and they heat up very quickly so they are pretty much useless (not to mention the fact that enemies moving all the time make everything even more difficult as you only get to shoot once, you miss and you’re toast). Therefore, the best weapon in my opinion is that weapon that first has a good rate of fire, doesn’t heat up very fast and is great for medium range fire, as that’s the range that you’re usually going to fire from in the game. So what’s that gun? The EE-3! It is indeed a beautiful gun that can do a lot of damage and increase your kill count like a beast. It’s not the easiest gun to get used with because of the burst fire and the fact that it could overheat quite rapidly if you don’t watch that heating meter, but in most game modes and with the right type of cards, it is a beast. Give it a chance and learn how to use it, I guarantee you will replace the all time favorite DL-44 with it. Picking the right cards makes it a lot more useful, so the must have is Cluster Shot with the Scout Trait. The first makes the weapon a lot more lethal, while the Scout Trait helps with the cooling problem if you manage to get to level 3. Personal Shield and Bowcaster are also good choices to complete the power of this weapon. Do things change in tight, short combat areas? Even though you can still do a pretty decent job with the EE-3 in tight areas and low range fire once you learn how to use the weapon, you might have to switch – but just for close combat game modes – to the DL-44 which is indeed a beast when it comes to close-range combat. 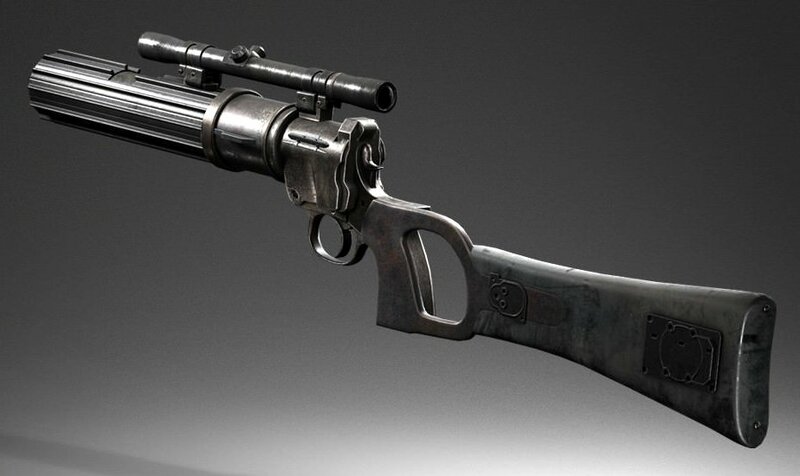 But still, in my opinion, the best weapon in Star Wars Battlefront is the EE-3. Let me know what do you think below and especially what loadouts you use to get the most out of your weapon!